I love rose cuts. 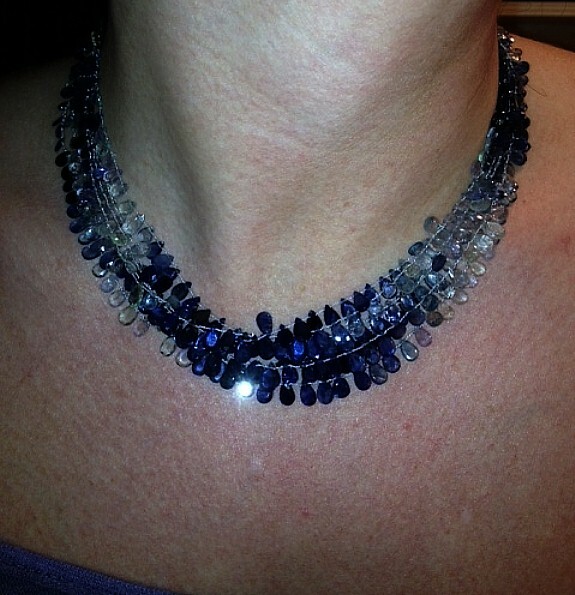 This was one of the very first ways stones were faceted. Some say this began in the 1400’s. Other’s 1500’s. Very few facets and the stones are pretty flat. 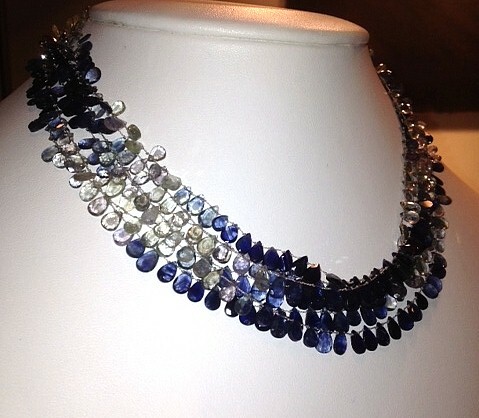 Even though the facets are few, these stones still produce a lot of sparkle. 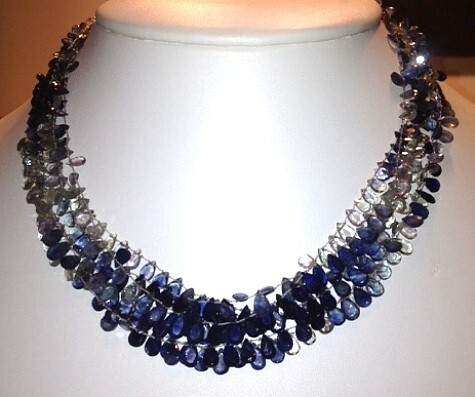 I did a multi strand necklace using the palest blue (almost clear) to a deep blue. 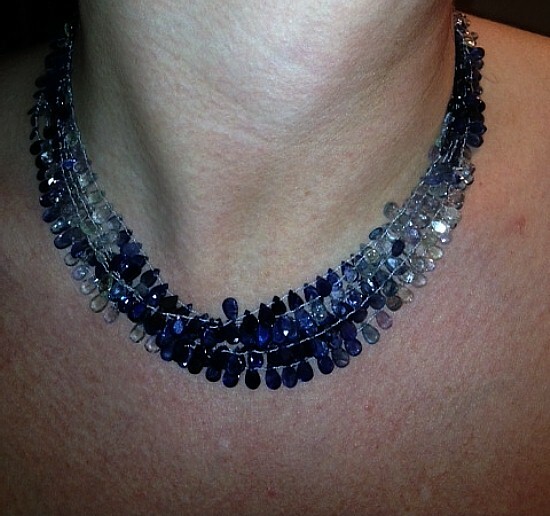 I used a gray silk thread to give a silver appearance between the beads. Each bead is hand knotted. Rose cut stones are still very popular today. These beads are new. This is choker length for most. 16 inches I wanted this necklace to lay at the base of the neck. Sterling Silver Clasp to finish it off. Please dont forget to enter my Valentines Day Contest. Look at that blog. Great workmanship and gorgeous color!